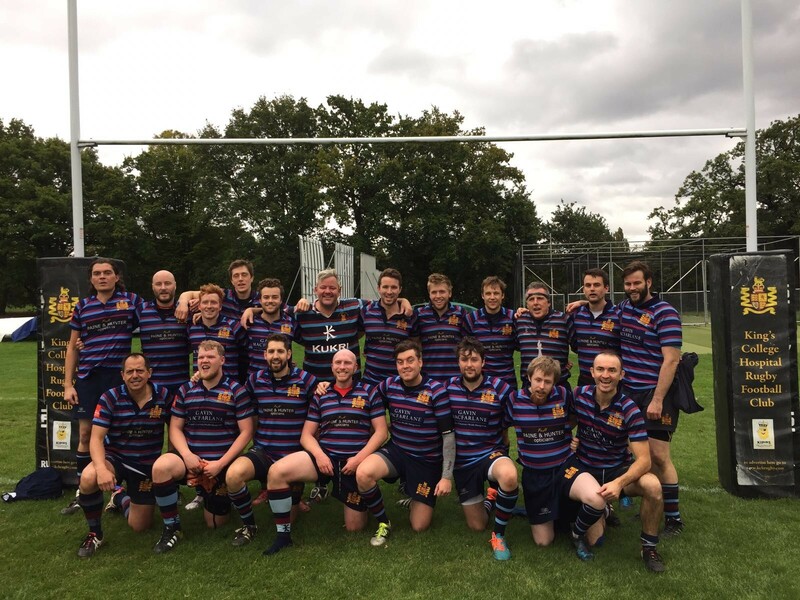 Following a weekend off rugby which allowed our knocks and bruises to heal, the mighty 2s were determined to continue their winning streak by fielding an excellent 2s team away at Dartfordians. And we did not disappoint! It was very much a one-sided affair and King's dominated from start to finish. With a back line that could be mistaken for the 1s, we scored within minutes from their kick-off. Debutant Tim Pope playing at full-back had an excellent step and broke away to score the first of his three (or four?) tries of the day. There were also a couple of tries from Felix, Gummy, Ric Holland, Will Barraclough and Dave Ball. There were so many tries that it's difficult to remember who all the scorers were. Towards the end of the first half, they only really threatened to score once, but strong defending from King's and a solid metal post kept them out. With the majority of the tries being put down under the posts, Captain Seal slotted the conversions time after time to help rack up the points. The second half saw the outside centre for Darts going off injured and they had no subs. As King's had a strong bench of five men, they asked if someone would volunteer to play for them. Xav duly stepped up and slotted into their back line for the remainder of the game. However the second half was much of the same as King's continued to exude confidence and more tries were scored from both the forwards and backs. It would have felt like a long game for the opposition, and with such a one-sided affair the ref blew the whistle a few minutes early to end the pain for the hosts. All in all, a very convincing win from King's as we remain the only team unbeaten and go top of the league. Great debut performances from Adam Durbin, Scott Dubery, and Tim Pope and we hope to see more of them throughout the season. But every Kingsmen on the day put in a strong shift and now we need to make sure we don't get complacent as next week's game at home to Blackheath will be much more difficult. See you all at training.